Lunch at Black Estate, Waipara, North Canterbury. For this episode of Wine For Normal People, Elizabeth and I talk about my recent trip to North Canterbury. A short drive north of Christchurch, North Canterbury has something for everyone – fabulous wine, delicious local food including truffles, olives and honey, craft beer, bike trails, hiking trails, fishing … take a listen! 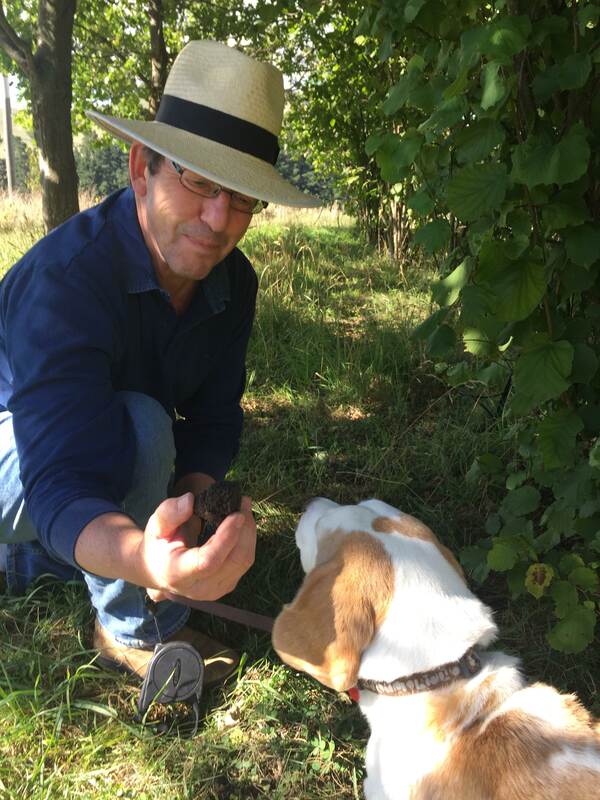 Hunting for truffles with Gareth Renowden of Limestone Hills and Rosie the Beagle. ← In Melbourne March 7? Come to Brazil and Uruguay with me!